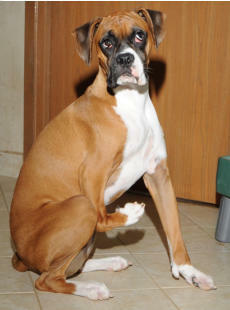 An initial evaluation is conducted of all Boxers on arrival as to general temperament and condition. 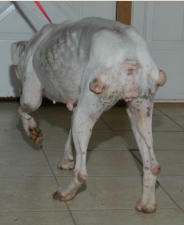 All dogs are given time to settle in before being more thoroughly evaluated. Dogs are not offered for adoption until we have determined their suitability for placement and addressed any health and/or behavior issues. Since all our Boxers are available to us at all times we are able to observe their reactions to differing people, situations and other animals. This affords us the opportunity to assess their basic temperaments and personalities thereby increasing our chances of successfully determining the most suitable homes for them. We believe that getting to know our Boxers well is critical towards appropriate management and placement. 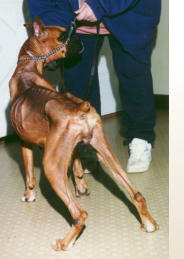 We firmly believe that behavior issues presented by Boxers with good basic temperaments can be significantly improved by proper management, the absence of which is nearly always the cause for the unwanted behavior. Sufficient exercise, a well-established routine, and promoting a sense of discipline through obedience training are the tools we employ to modify typical undesirable behaviors. We rarely receive well-trained boxers. When evaluating condition we look at weight, skin and coat, expression and bearing, and obvious abnormalities or injuries, taking into consideration any known history. 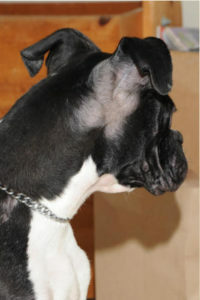 A dog’s condition can reveal much about its circumstances prior to rescue: lethargy, emaciation, hair loss, pressure sores and red or flaky skin are all indications of neglect, living outdoors and/or improper housing. 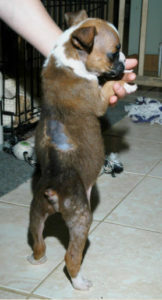 Most are fairly easily remedied with food, baths, clean living conditions indoors and reassurance. Poor conditions that do not improve quickly are likely due to and/or accompanied by an underlying health issue.